The “Millennium Dome” opened in Greenwich, England in 2000 with a celebratory “2000 Exhibit.” Fashioned with reference to the world’s fairs of times gone by, this large exhibit also included Religion in its “Faith Zone” and invited a number of religious partners to conversations about how to best represent religion. The Dome’s development group also decided to hire chaplains and include an inclusive “Prayer Space” for visitors that was meant to outlast the temporary millennial exhibit. Planning for the inclusive “Prayer Space” immediately encountered challenges. While it was explicitly designed to be a space where people from all faiths could pray or reflect, Muslim partners in the project expressed concern that since the complex had been funded and constructed by a national lottery, it would be an inappropriate place for Muslims to pray. Sophie Gilliat-Ray’s essays chronicle this story, which culminated in finding private funding for Muslim prayer space located in an area adjacent to the Dome. What would have once been called a ‘Chapel’ is now, increasingly, called something different. The name given to such a space varies, but often the word ‘prayer’ is a part of it… There are similar difficulties where ‘worship’ is part of the name…. The designation ‘Multi-faith Room’ is problematic since this gives no indication of function, and ‘Quiet Room’ is perhaps too prescriptive—after all, not all religious worship is quiet, and tears may not necessarily fall in silence. Gilliat-Ray’s essay on the struggles and tensions of representing religion and spirituality in the “Faith Zone” prompt further reflection on the issues of the specificity of practice and religious identity that were on display in the two prayer spaces. For the “Faith Zone,” one of a dozen “zones” that invited visitors to consider the new millennium, its architects imagined a design that was more spiritual than multi-faith. A large glass pyramid and art installation by the contemporary artist James Turrell, and a “prayer wall” where visitors could write prayers on paper and pin them to a large wall were the most popular part of this zone. Yet the “spiritual” and interactive framing of religion’s future was severely criticized by the same group of religious leaders who were consulted on the Prayer Space project. Developers answered their criticisms of the “humanist,” “new age” and “watered-down” religion of the Faith Zone by hiring a second team who wrestled, along with the religious consultants, to figure out how precisely to visualize “inclusion”—whom to include, and what kinds of “religious” and social activities would be presented. As Gilliat-Ray notes, all those involved were confronted by the “exclusionary power of inclusion” that seems to mark these sites. Indeed, a comparison with the 1939 New York World’s Fair offers much to reflect upon. 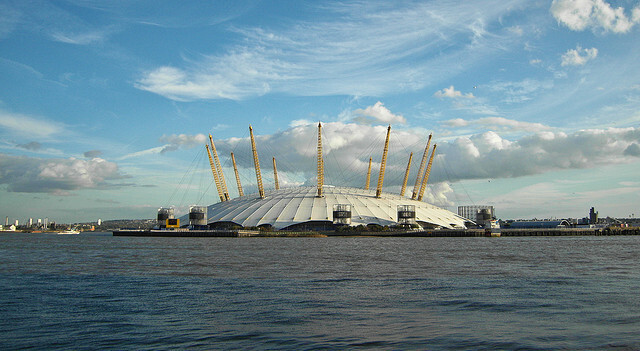 What happens today at the O2 Dome? Perhaps this complexity and its tensions were too much: by the time of this writing the “Prayer Space” and the chaplaincy have moved out of the O2 Dome altogether, and reside in a shed on its perimeter.